Reduces strain from over-reaching - The Mousetrapper Advance is designed to eliminate over-reaching for your mouse, and that will help alleviate injuries to the shoulder and upper arm that can be aggravated by repetitive reaching, especially to areas beyond your comfort zone. 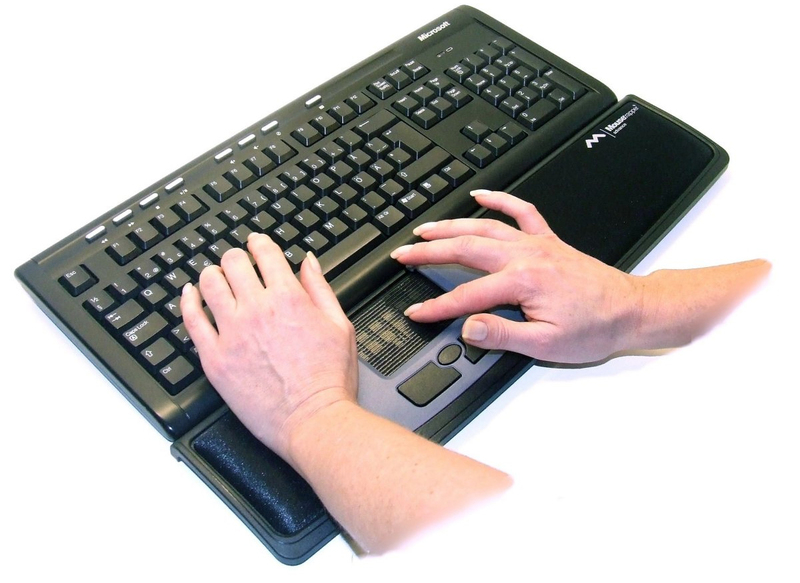 Extra support for palms - While the steering pad is located ideally just below the hands that are typing, the surround area of the Mousetrapper Advance acts as additional resting space for your palms and forearm, effectively reducing stress on these parts, including the wrists. Steering pad: This steering pad is unique to the Mousetrapper. 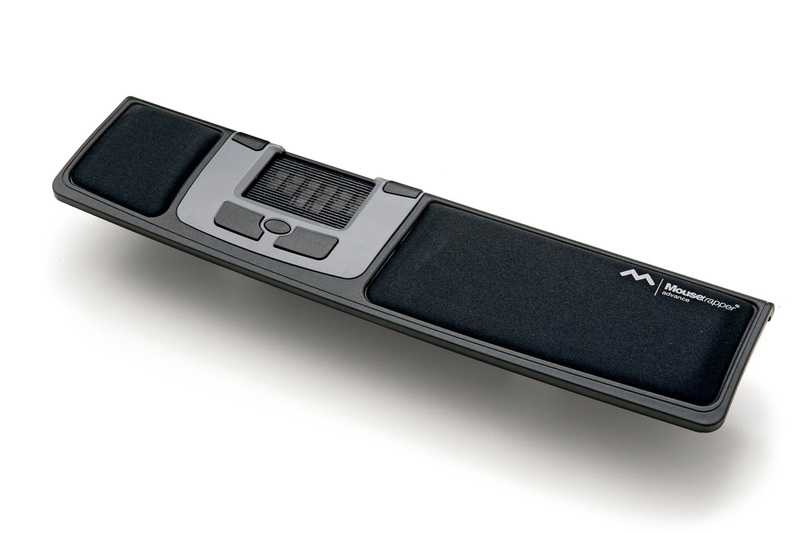 Although it looks like a touchpad, it is more like a treadmill that moves in all directions, not just up and down. 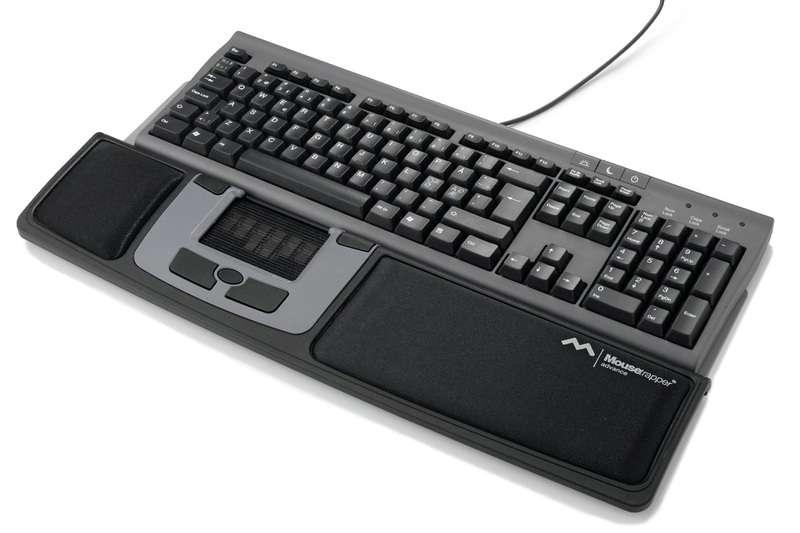 Up and down movement is continuous like a treadmill, and left to right movement is set at about 3.5" either way, which is enough to move your cursor across the screen. Your fingers do not move on the surface of the steering pad (as they would on a touchpad), they move the steering pad itself. Cursor gliding: When the steering pad's surface can no longer be moved to either side (due to limited left and right movement), but the cursor is not yet at the edge of your screen, the cursor will automatically move to the screen edge. This automatic gliding motion will 'recalibrate' the steering pad so that normal cursor movement can resume. It is a normal part of using the steering pad and does not affect its performance. 5 non-tactile buttons: There are five buttons situated around the steering pad. All are non-tactile, which means that there is no noticable 'click' sensation when you press down on the button. 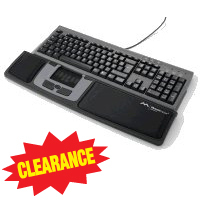 Functions include: (top buttons) double click, right click; (bottom buttons) left click, middle click (activates auto-scroll feature), right click. The buttons are also reprogrammable using the software provided for download on the Mousetrapper web site. Scrolling: The steering pad also has a scrolling feature, much like the one on Cirque touchpads. To activate this feature, simply place you finger on the rightmost side of the pad and move the pad up and down. Another feature: if you click while moving up, the 'back' function on your browser will be activated; if you click while moving down, the 'forward' function will be activated. Palm supports: On either side of the steering pad are soft palm supports which cushion your palms and forearms as you type. 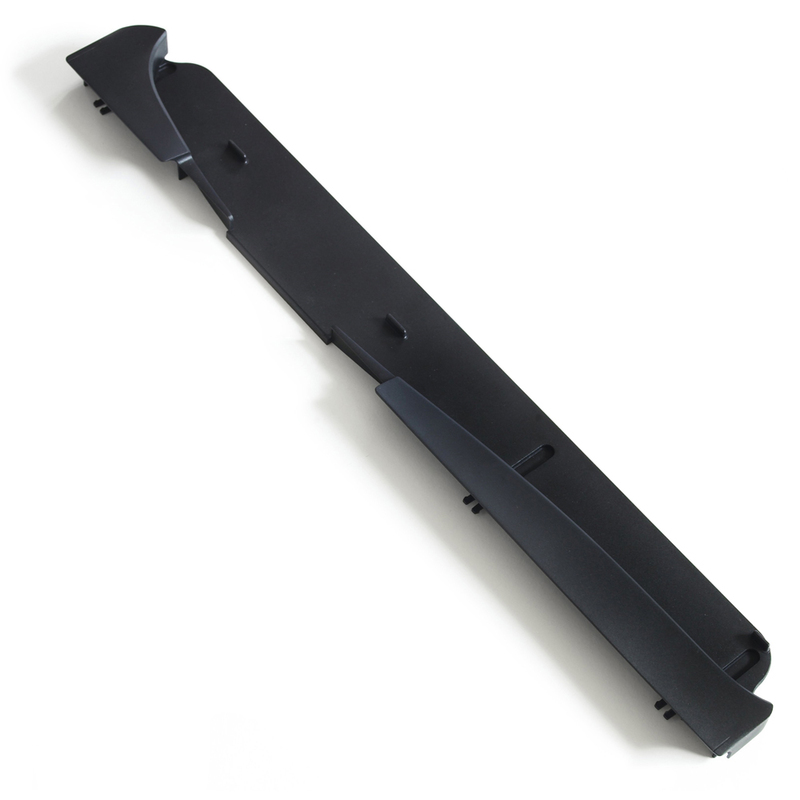 Manual holder/storage: Just in case you need to quickly refer to the user manual for operating instructions, the underside of the Mousetrapper Advance has a compartment specifically design to store the small manual that comes with the product.